X is the stage number of the quest. Cannot take damage. Cannot have attachments. 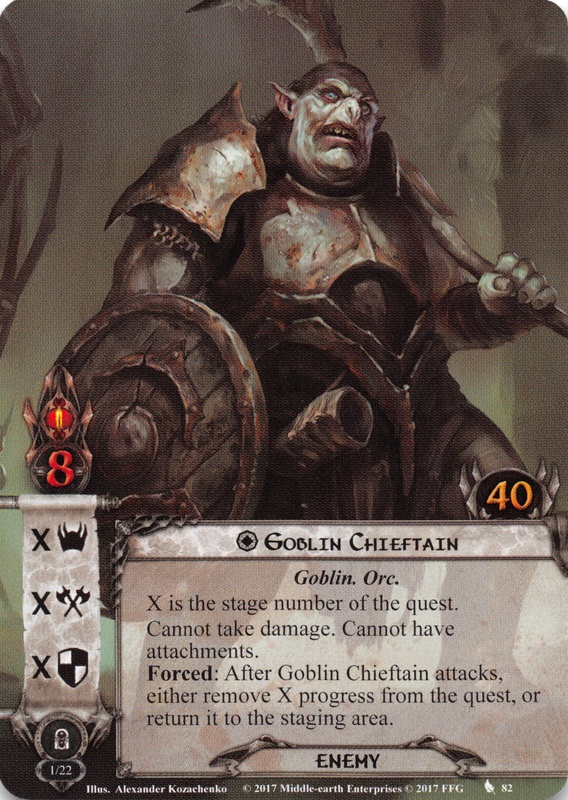 Forced: After Goblin Chieftain attacks, either remove X progress from the quest, or return it to the staging area.